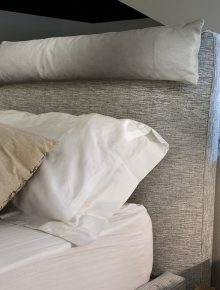 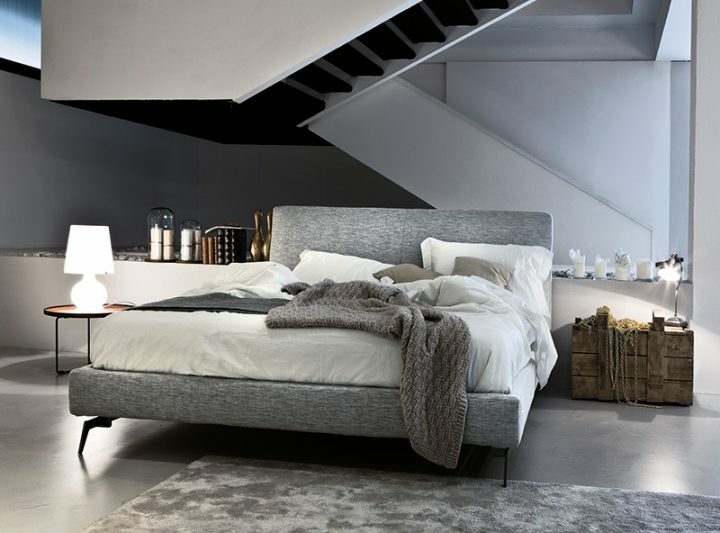 Lightness and comfort are the main features of Greg Night: the upholstered headboard is gently inclined towards the outside and you can add a headrest, to move the lines and increase comfort. 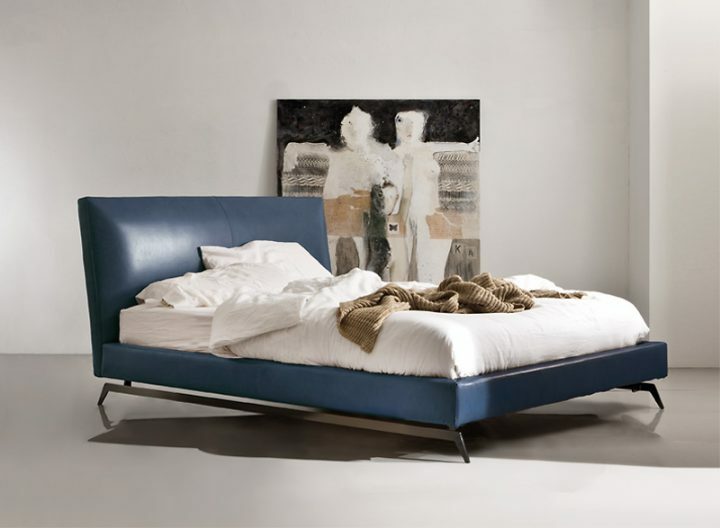 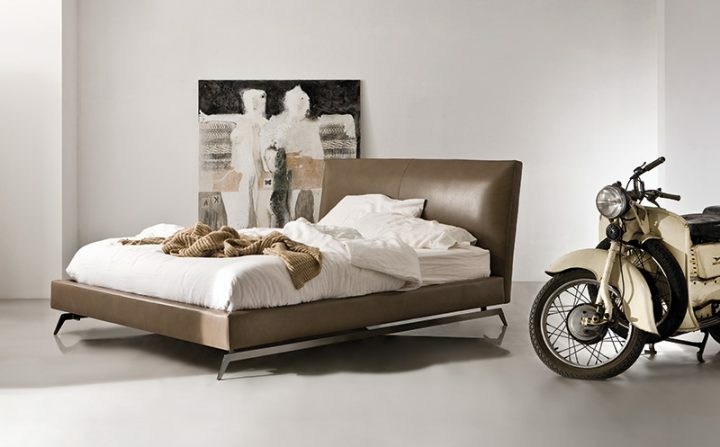 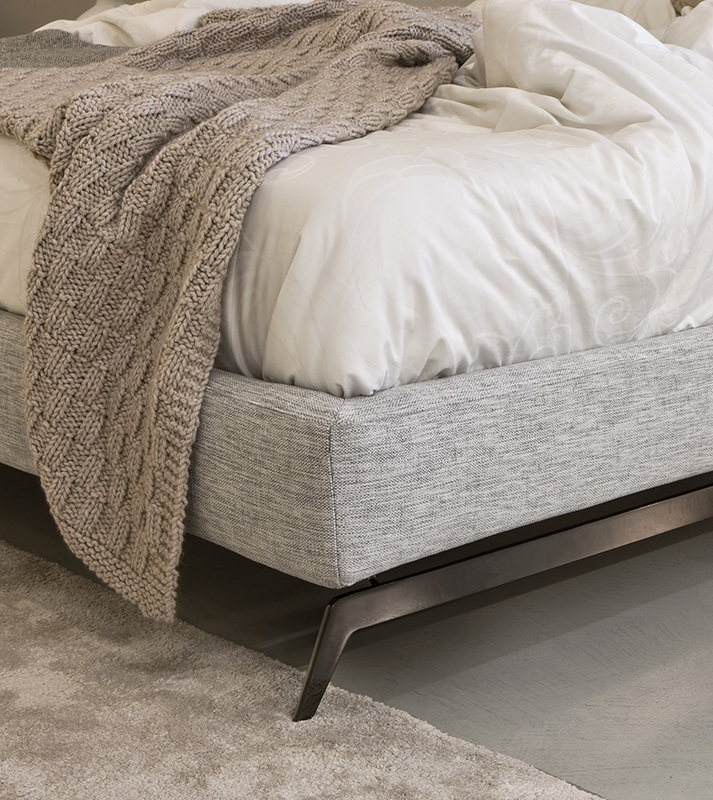 The metal feet easily support the bed, making it seem almost suspended. 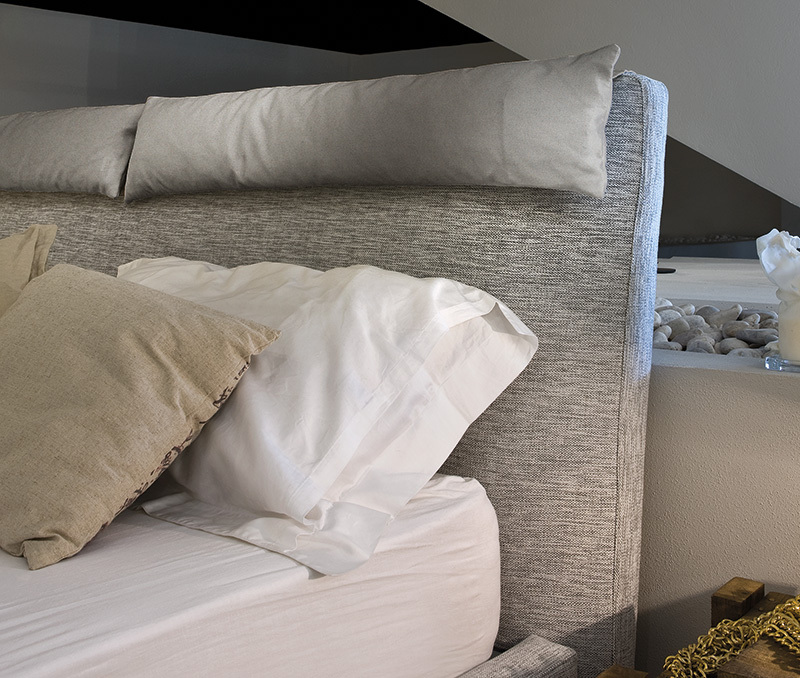 Greg Night is the ideal place for relaxation and rest.